Assuming the "clear sight" is added, to Sundol. Sorry, that is a forgotten clause. It should be "X clear sight spaces". I will contact DanieLoche for a new card ASAP; should I resubmit or are current votes fine? That's a small enough change. Don't worry about resubmitting. Just get us a new card once it is available. I like Sundol. I vote . Along with the clear sight question, is this a double-spaced figure? Clear sight really matters for double-spacers, who can't see behind them. Seems like a cool design (irony not lost on me). Would need a lot of testing to hammer out but seems like fun. My epic 15 pound homemade ceramic dice tower. 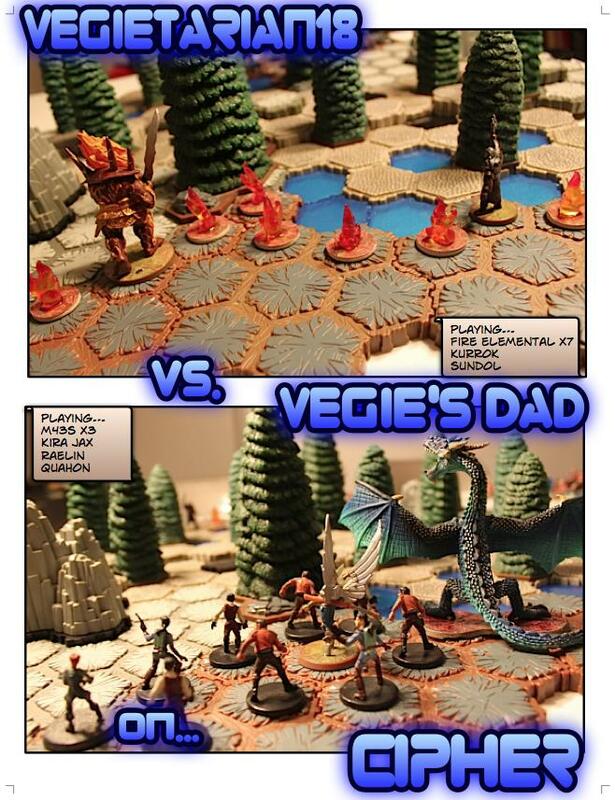 Heroscape: The BOGO of All Time. Oh yeah, duh. Pictured battle report. I predict an early searing intensity roll for Kurrok. Sundol by vegetarian18 has received 5 votes for review (capsocrates, Scytale, superfrog, Super Bogue, and hivelord) and moves on in the process. Since I submitted him the last time I have fixed all wording issues as well as done a little bit more playtesting to make sure the points were right. 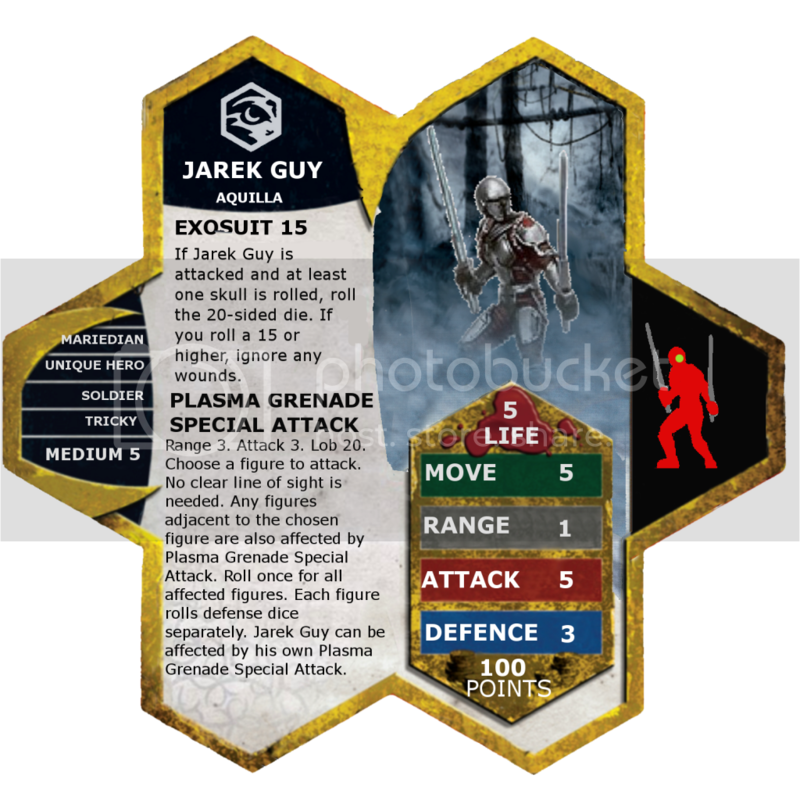 Jarek is pretty balanced overall I think, he can last for a while with his exosuit and his plasma grenades help him to get some higher up figures. He works well with the other Mariedians, the M-43 Resistance Fighters' Guerrilla Tactics special ability helps give him a boost to engage other units. Care to elaborate on his ties to the Mariedians? Master Set IV/Assault in the Mournlands. Last edited by William099; March 11th, 2013 at 11:13 PM.